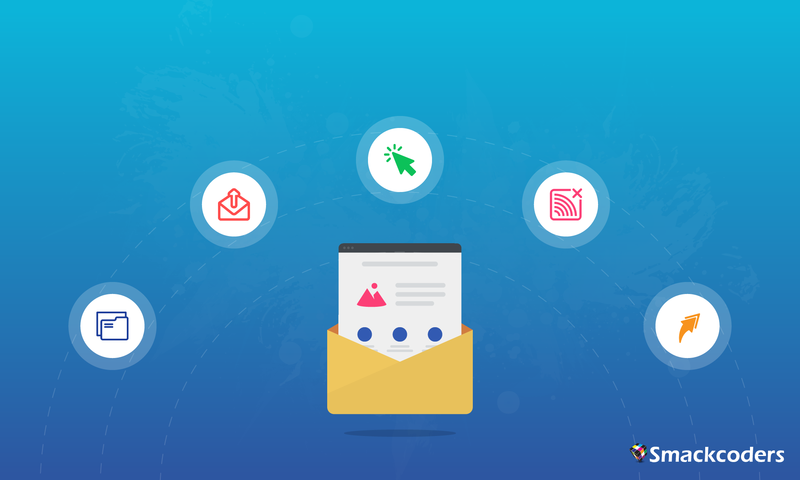 Use of splash screens, subscriptions, pop up forms, comment sections and more in our websites is one of the tricks to collect the customers’ contact information and this opens a new opportunity to stay in touch with customers via email campaigns. From company news to upcoming events, campaigns serve as a little reminder for your customers. With a list of customer emails, you can send promotional emails, offers or discounts to entice customers to do business with you. Every email marketing campaign has a different goal, maybe to generate more potential Leads, or convert existing leads to customers. This may vary from business to business, but there is one more goal which is common for all type of businesses – “Email campaign Metrics”. Without, the metrics, how would you measure the performance of the campaign? Out of many, there are some important metrics that you should be measuring to kick-start the ROI of your campaigns. It is the starting point of your campaigns and offers a great way to check the strength of your mailing list. Higher the delivery rate, higher the reach of your campaigns to your targeted audience. If you’ve low or very low delivery rates, then it’s an indication to build a healthy mailing list. Now your email reached your customer inbox without abuse, the next big challenge is to get your email read. For this, your email “Subject line” helps the most to get your reader to “Open”. It’s a pretty good indication to know how effective your subject lines are. Your email is delivered and opened by your readers or subscribers, what’s next? Now it’s time for action i.e. to evaluate the overall effectiveness of your campaigns. Click rates gives you a clear picture of how readers are engaged with the content. Emails that are more relevant to your subscriber’s interest have the higher click rates. Hard Bounce Rate – Emails that are permanently rejected due to the invalid email address. Soft Bounce Rate – Emails that are temporarily rejected due to some issues. To maintain a healthy mailing list, you should remove all the hard bounce email address from the mailing list. Share your own technic to measure the campaign metrics in the comments below or write to us at [email protected].